This is actually a self portrait. I soaked rags in tea and coffee, and when they dried my wife wrapped me in hundreds of feet, of gauze for my hands and the rags.At the time my daughter was studying Egypt in the third grade and had a hieroglyphic alphabet. 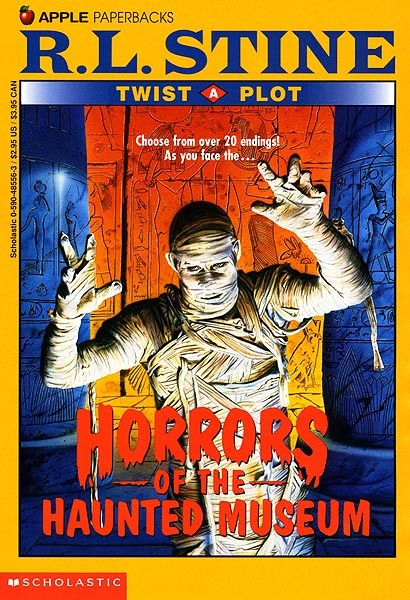 With it I wrote, "If you find your names on these walls then beware the mummy's curse. "I put all the names of the art directors at Scholastic that I worked with, and R.L. Stine. They loved it. The names got cut fot the cover. See them here.